This image features green Dwarf Wheat within APH. The door of the facility has been removed to show the growth chamber within. 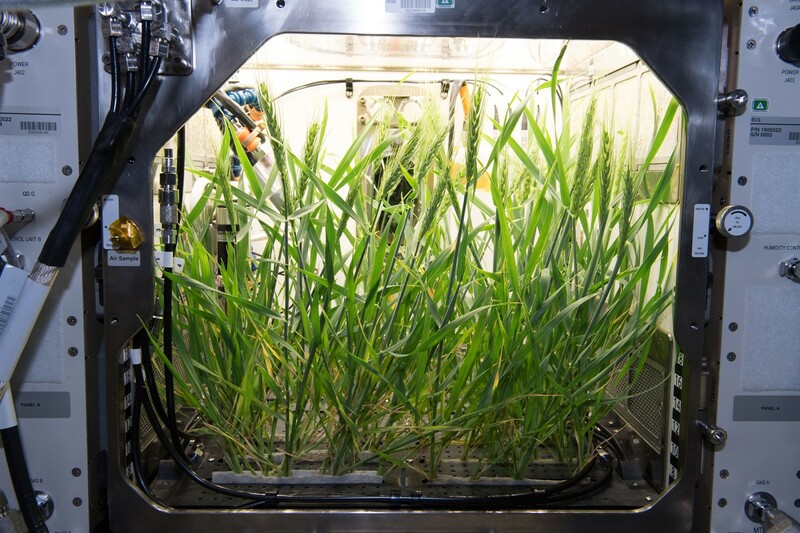 The Advanced Plant Habitat (APH), a recent addition to the International Space Station, is designed to test different growth conditions to examine plant preferences in microgravity. The habitat is about the size of a mini-fridge—the largest plant growth chamber currently onboard the ISS—and provides a larger space for root and shoot growth. It will also allow more types of plants to be grown on the space station. 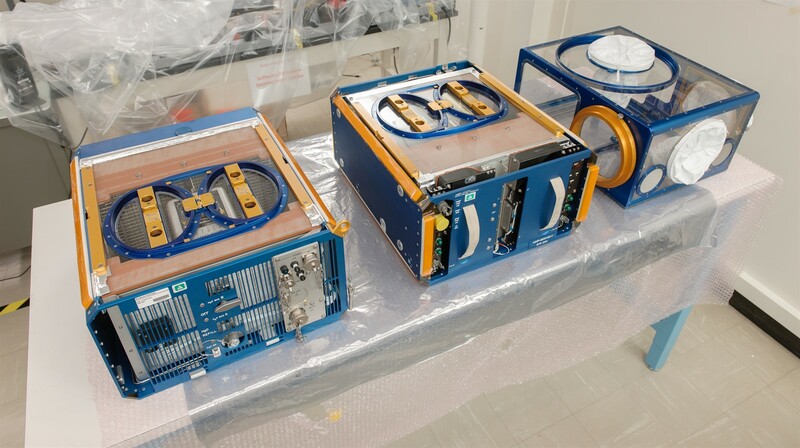 Another new piece of plant growth hardware called the Passive Orbital Nutrient Delivery System (PONDS) launched to the ISS National Lab on SpaceX CRS-14 and is being tested in space for the first time. PONDS was developed for NASA by Tupperware Brands Corporation and the ISS National Lab implementation partner Techshot and will be used with the ISS Vegetable Production System, VEGGIE. PONDS is designed to deliver water and nutrients to plants efficiently in microgravity with very little maintenance from ISS crew members. 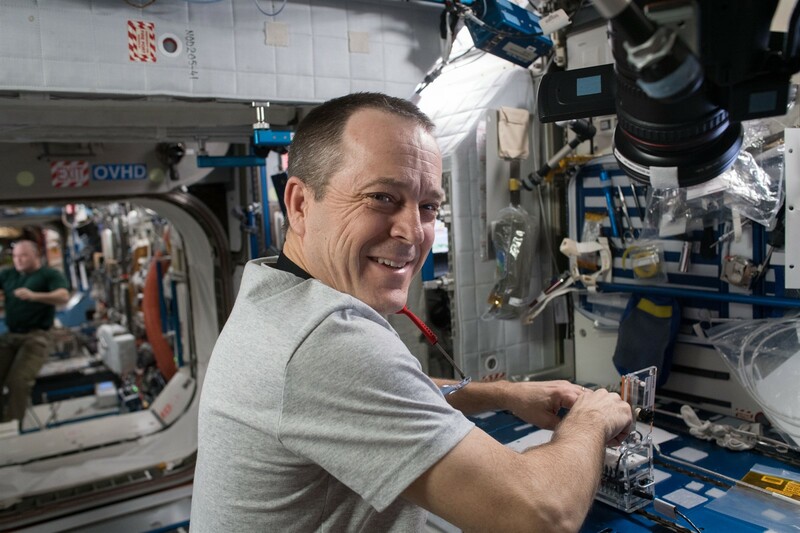 The ISS National Lab supports valuable plant investigations, such as the CARA experiment (Characterizing Arabidopsis Root Attractions), that allow researchers to study fundamental plant development processes without the masking effect of gravity.